Everyone knows the importance of a calling bundle. A calling bundle is when our network provides us the opportunity to make unlimited calls at reasonable rates. A perfect package or offer allows you to make the call both on off-net and on-net numbers plus some other benefits. How useful is the bundle depends on customer’s experience? So, it is essential for telecom companies to come up with good bundles not only for calls but also for SMS and internet usage. Some bundles give you the opportunity to make calls at lowest rates possible and some offer you maximum free calling minutes. You should choose the most suitable bundle according to your communication needs. Every telecom company is competing hard to be at the top of the industry. That is why they keep on introducing better-calling bundles to grab the attention of customers. 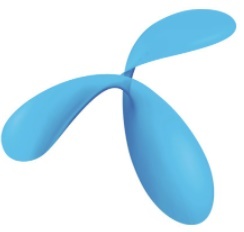 Like others, Telenor has also presented some of the fantastic call bundles or offers. Telenor allows you to stay connected with everyone everywhere and anytime at lowest rates and that what make Telenor the leading network of customers. Not only these offers provide you free calling minutes for nationwide talk but also give the opportunity for texting and free web surfing. 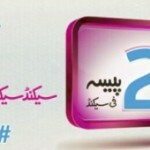 Telenor 3 day super hit offer is the new addition to the list of calling plans. Three days super hit offer allow all Telenor subscribers to make unlimited on-net calls for 3 days at affordable rates. To enjoy the offer to its fullest, have a look at all essential details of the super hit offer. Want to enjoy Telenor unlimited on-net calls at the lowest price, activate 3 days super hit offer at just Rs 34 + tax. Call setup charges are included, but no additional or extra charges will be deducted. The subscription process is simple as always. You just have to pick up your phone and dial *345*299# from your prepaid connection. Start making unlimited on-net calls after receiving the confirmation message of successful activation. You can subscribe to this offer again after 3 days of subscription. 3 day super hit offer will give you more than your expectancies. If you subscribe this offer, you will be provided with unlimited talk time from Telenor to Telenor at cheap rates. All Telenor prepaid subscribers can avail the 3 days super hit offer. You cannot subscribe his offer over again until expiration. You can enjoy free calling with this offer for 3 days. You will be provided with unlimited on-net calling minutes. The offer will not be valid from 7 pm to 10 pm. No off-net and international calls are included in this offer. Default charges will apply on the expiration of the offer. Call setup charges of 12 paisa + tax will apply to each new call. FED charges will apply upon regional basis. If you to have more by paying less, then Telenor 3 day super hit offer is the perfect solution for all your needs. Subscribe it now to get what you always needed. Well! This is Ruqia living in Lahore, Pakistan. I am very glad to inform my valuable users visiting my website that I am a blogger. My ambition to work online is to facilitate the people of my community. As far as my hobbies are concerned, I love to play Badminton, Swimming and obviously watching cricket. My passion is to connect with good people around the world. 2018 Vissionmag.com Design. All rights reserved.